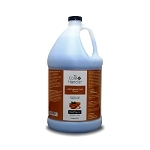 Cleans quickly and thoroughly without harsh detergents or chemicals. Safely removes residues without damaging hair. 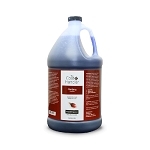 Helps remove and prevent yellow discoloration and strains in white coats, and helps highlight and brightening all coat colors.